He has challenged Jho Low to "come and claim" it. Equanimity, which according to reports about a 2017 civil forfeiture suit brought by the US Department of Justice (DOJ), was bought using the proceeds of misappropriated 1MDB funds that had been laundered through the US financial system. The USD250 million vessel is allegedly owned by fugitive financier Jho Low, to whom Tun Dr Mahathir has now challenged to "come and claim" it. 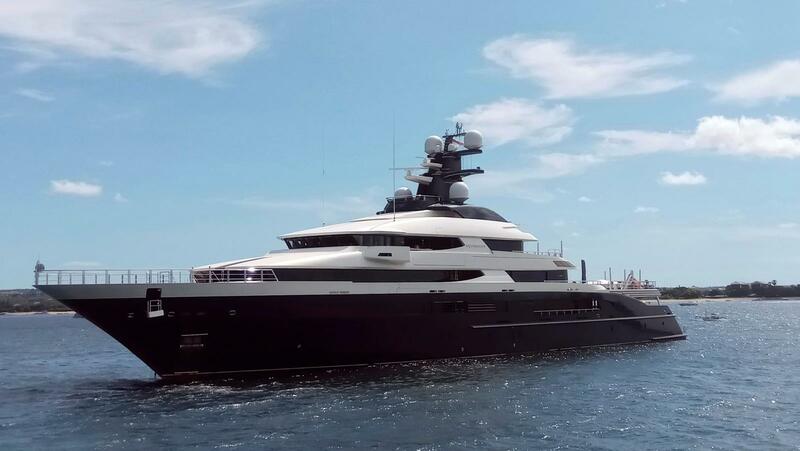 After touring the luxury vessel himself, Tun Dr Mahathir said that if Jho Low believes he is the rightful owner of Equanimity, he can come and claim in Malaysia. "The only person who wants to take legal action is Low. For him to take legal action, he can come and prove to us that the yacht belongs to him. "The yacht is very costly, so we want to know where he got the money to buy it, and when we trace the money, eventually we will find that the money is from 1MDB. 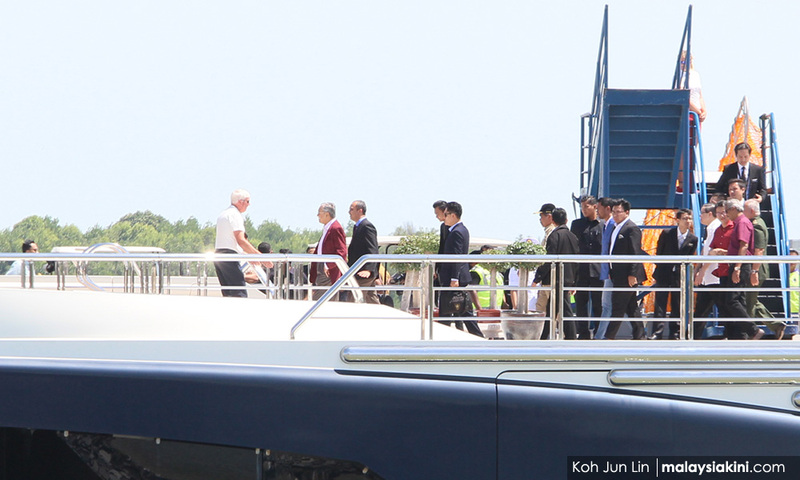 Tun Dr Mahathir meeting Equanimity captain onboard the yacht. So far no one has shown interest in buying the Equanimity from the Malaysian government, but Tun Dr Mahathir quipped that interested parties had to be very rich. "Maybe Arabs or Bill Gates might offer, because it is very expensive, even to maintain. You have to spend a lot of money to keep the boat in ship shape. "I have also offered to buy, at my price of course, but they said no, so we have to invite buyers worldwide," the Prime Minister, known for his tongue in cheek remarks, added. Built by Oceanco in the Netherlands at their Alblasserdam shipyard, Equanimity is said to accommodate up to 26 guests. The Equanimity is the 54th largest yacht in the world and the first superyacht built to the Passenger Yacht Code, which allows the yacht to maximise the number of occupants, bringing it up to 26 guests and 28 crew members. The interior of the Equanimity comprises of materials like gold leaf, dark coloured wood, bamboo, and marble. There are a total of nine cabins, which can easily fit its guests in a master suite, four VIP staterooms, and four double cabins. It is also fitted with 'zero speed stabilizers' which work at anchor, increasing onboard comfort for guests when the yacht is stationary, particularly in rough waters. Tucked within are twin 4,828hp MTUs, giving it a top speed of 20 knots. The Equanimity also has a large 271,000-litre fuel tank, which allows for almost unlimited exploration on the vast open sea. Today, Prime Minister Tun Dr Mahathir, however, said that the Malaysian government would like to sell the Equanimity as soon as possible as the maintenance costs alone would come to about RM2 million a month. This is so in order to maintain the Equanimity's value and safeguard its condition. "We have to keep the yacht in good condition. But if you allow hundreds of people to come and view the yacht then it might damage the yacht. "Buyers will not want to buy a ship that is exhibited like that," Tun Dr Mahathir told reporters after conducting an hour-long inspection of the vessel earlier today. What do you think about the government's decision to not allow people to tour the Equanimity? Share your thoughts below. Justice Mohd Nazlan said a gag order violates freedom of speech and expression. Yana has leapt to the defence of Najib, claiming her father has never put his needs first.